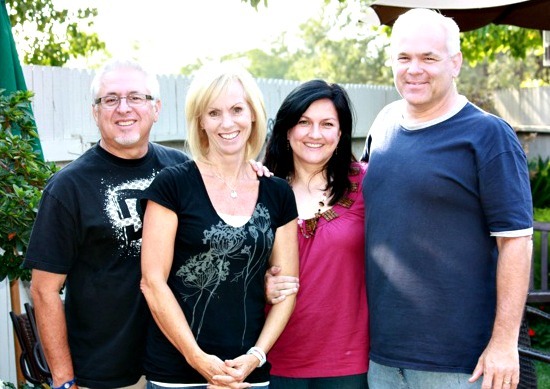 On Sunday, the 4th of February our long-time friends, Matt and Shannon, will take the reins of Capital City Church (CCC) in Sacramento, from our long-time lead elder couple, Rick and Kathy, to become our official “lead elder” couple. Rick and Kathy are Matt’s parents, and the handover service is the culmination of years of training and preparation for our “new Martinez’s” to lead the people in the way. As I thought about writing this, I wanted to find scripture to punctuate why this is so important, finally deciding on Deuteronomy 31, when Moses instructs Joshua in the way he should lead the Israelites…but I realize that particular blog would be better written by someone else. I’m not a theologian; I’m just Janet. I stand here, at another crossroads in my life, bearing witness to a change that will happen right in front of me, one I am excited about and so grateful for. My gratitude is not the kind that floats on the surface, it is more like a submarine gratitude that explores the depths of my soul like a littered ocean floor. Rick Martinez has been our pastor for most of our Christian lives. We met him when we first attended Vineyard, twenty-four years ago, a large church held in a warehouse off of highway 50 and Bradshaw Rd, where we worshiped in passionate joy with about 700 other folks we called brothers and sisters. When we first started going, Alicia was four-years-old and Vince was seven. We grew up there, spiritually and physically. My friend, Jane Ritzema, taught me how to teach Sunday School and later became a mentor for teaching in general. We met friends that we are still close with today. Several new churches were started out of that particular Vineyard. Eventually, our eldership—led by Rick—decided to leave the denomination and we became “Journey Christian Fellowship,” worshiping in the same location, but with less people. Our kids became teenagers during this time. One year, Rick and Kathy visited South Africa to attend leadership training with a group called New Covenant Ministries. When they came back, we all went to Brea for a Leadership Training Time (LTT) which led to us meeting Hennie Keyter and Ray Oliver. They invited Mario and I to go with them on a trip to Malawi—which we did—and our lives changed. Our church changed its name to Capital City Church International, about the same time that Mario and I began traveling with teams in and out of Africa and Brazil, all the while growing in Christ. The only reason Mario and I ever left our church was to move to Johannesburg, when we finally settled it in our hearts that we should live there full time and work into the continent in whatever way we could. Our church family at Capital City Church sent us away with a grand party, and Rick and Kathy gave us their blessings. We came back, seven years later, our church family welcomed us with open arms. We have always been challenged; we have always been safe. Here’s what I’m leaving out: All those years of attending the same church, being part of the leadership in some way—all those years of living and dying in so many ways—would have been disastrous had it not been for strong leadership and counsel. I am no different from any bum on the street who does not want to leave their comfort zone and live for anyone else but myself. It is by the grace of God that I want to be near Him. It is by God’s grace that Mario and I have enjoyed strong friendship and strong leadership with Rick and Kathy. Every season of our lives have been dangerous in some way or another, and every season has been filled with my own self-pity and self-righteousness in some way. Our lead elder couple has taken turns in recognizing our gifts and correcting our path when we start to stray away from God. Rick and Kathy have lived lives of selflessness and sacrifice, but have never complained or acted like this lifestyle was any kind of hardship. This is the example they have set; this is what we have seen without fail. So, communicating what it is like to have a lead elder who you love and trust, is a challenge. There are no words to express the magnitude of the importance a couple like this in our lives. In truth, the handover would be a sad one if it were not for this: Rick and Kathy will be handing off to Matt and Shannon. We have faith in this decision, but not just because we hope it will all work out. In a way, it has been happening for years. Matt and Rick are truly like Moses and Joshua, and we know that more than just strategy has been exchanged. Mario and I like to say that we knew Matt and Shannon before their five kids entered the picture—and their eldest is 14. 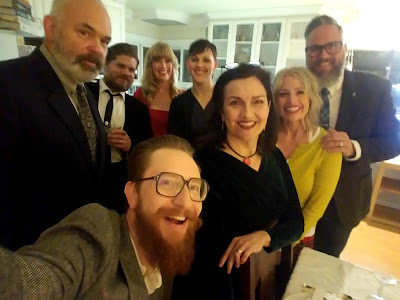 Part of me feels like proud parents of our cool, young friends who will now be our lead elder couple, but in truth, we are equals and friends before we are anything like parents. Even after we moved to South Africa, we maintained close contact via email. Mario and I would come home for two weeks a year and visit with only a few friends—usually ones we needed to catch up with on more than one level. We had what we called “the Martinez day,” which was lunch with Rick and Kathy and dinner with Matt and Shannon. We would always leave feeling encouraged, always equipped to go on, knowing that they knew our hearts and loved us. And then we went to a side-room in the church so we could have a planning meeting about our upcoming trip to Mexico. On Sunday there will be no sacred ring that is passed from Rick to Matt; there is no holy scepter transferred. No one will wave loaves of bread in the air, nor will they sacrifice bulls or goats. 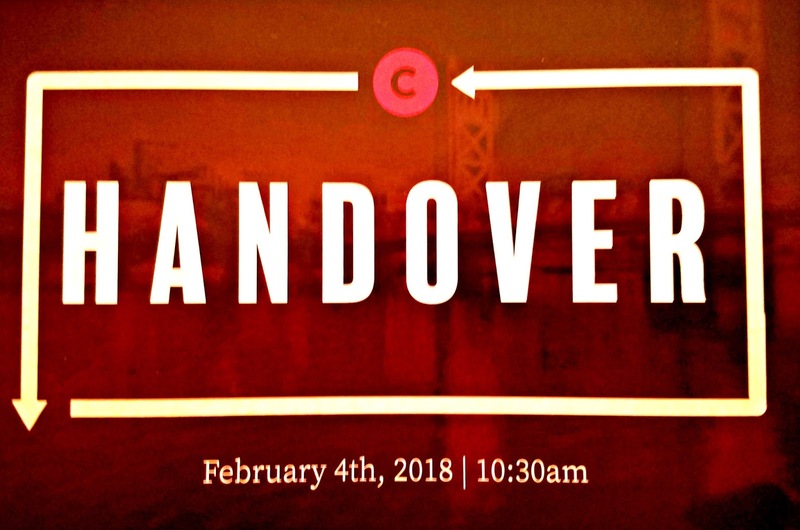 There will be a formal exchange, so we can point to the day, like a pile of stones, and say, “That was the day the handover took place.” On Sunday, there will be service like any other—but we’ll eat afterward and celebrate as family. That’s right…I have to bring a fruit platter. Or veggies…Kathy said I could bring veggies. In a world where churches change leaders like companies change CEO’s, we feel fortunate to have been shepherded so carefully by the same lead elder for most of our Christian lives. We trust that Matt and Shannon will be up to the task and delight in it as much as Rick and Kathy have. 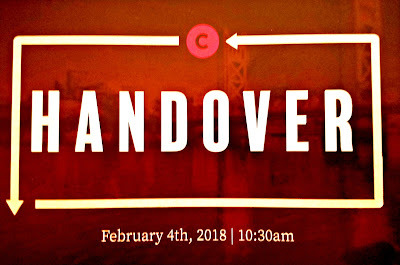 While I have been writing, Matt published his own blog about the handover —complete with scripture! Click here to read Matt's most excellent blog about what this handover means!